Images from our drive out to St. Jacobs. 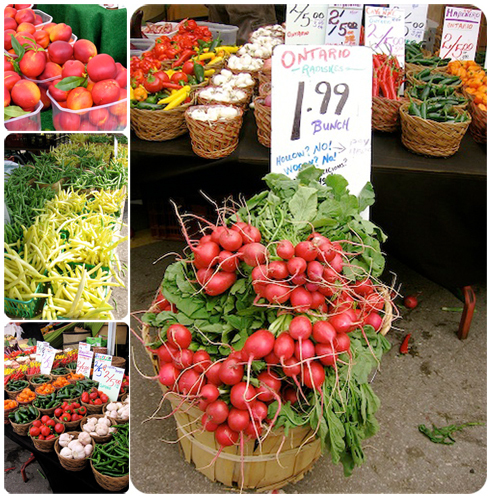 The Farmers Market, top photo (clockwise from left): honey-sweet nectarines from Niagara that were too good to resist; gorgeously fat and fiery radishes; an array of hot peppers in adorable little woven baskets; a field of perfectly crisp and tender beans. 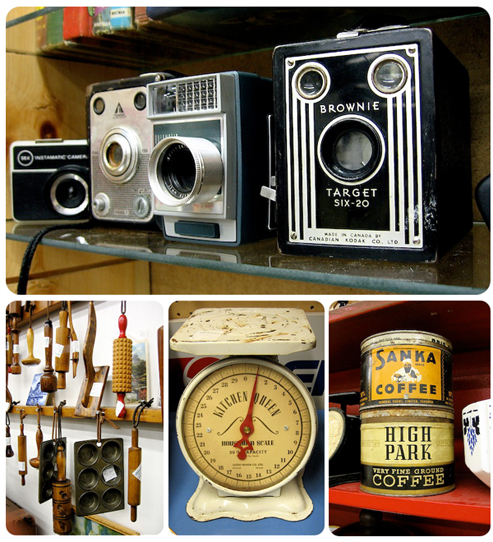 Trolling for antiques, bottom photo (clockwise from top): a display of vintage cameras; food tins with charming artwork; a scale fit for royalty; detail of a wall of kitchen utensils.